Which transport service is best for you? The transport needs of our customers are as unique as they are. From the first time car shipping individual to the well versed manufacturer, no two are ever the same. To really understand which service option works best for you we strongly suggest discussing the specifics of your move with a transport specialists. 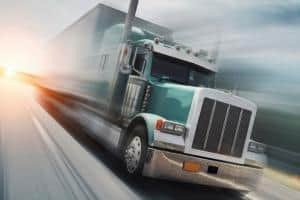 Our transport specialists will gather information about your shipment such as shipment or vehicle description, pickup and delivery locations, schedules and so on, and create a personalized transportation revolved around your specific needs. We can handle any type of shipments from small golf cart shipping all the way up to over dimensional equipment hauling. Our expedited transport allows you to get your shipment on the road in the fastest time possible. This means that your shipment will be tended to immediately and puts your shipment at the top of our priority list. Are you a classic, exotic, or high-end vehicle collector? Protect your vehicle(s) while in transport against elements of the weather and road. To get an instant quote or have any questions call us at 1-800-311-8305. Protect your classic and antique car during transport. We transport hundreds of vehicles each day, with classic and vintage cars being some of our favorites to move. The most popular and economical option available in automobile transportation. 80% of vehicle transports are done on the open car carrier. Our specialized vehicle service allows you to transport large and oversize vehicles. Transport utility trucks, buses, food trucks, tractors and much more. Need truck shipping for your lifted, oversized ,dually and heavy duty trucks? Our full range of trailer configurations allows us to transport trucks across state or across the United States in a efficient and timely manner. Whether you need to transport a travel trailer, RV, fifth wheel, cargo trailer or other type of trailer, we are your hauling and towing solution to handle the job. Our flatbed trucking fleet is able to transport any type of freight shipment to and from anywhere in the U.S. No matter if it’s less than load (LTL) or full truckload (FTL), we have the right flatbed trailer to meet your needs perfectly. Do you have over dimensional, overweight construction or agricultural equipment? We have the necessary double drop, RGN and lowboy trucking equipment to handle your heavy haul transportation needs. Shipping inoperable and damaged cars? We offer the experience of shipping cars that do not run and make the entire process simple. Our trucks are equipped to handle any non-running vehicle with no problem. Snowbirds, do not drive during hazardous winter conditions. Hire a reliable snowbird auto shipping company. We service all major snowbird routes. Need to transport multiple vehicles from an auction to your car dealership or to another dealership? We are your transport partner for such projects. We can transport all types of vehicles to and from Hawaii including oversized vehicles, heavy equipment, motorcycles, and boats. We service all major ports in California, Oregon, Washington, and Hawaii. We are fully licensed and insured to handle any boat shipping interstate and nationwide. We transport all types of boats, power boats, sailboats and yachts.